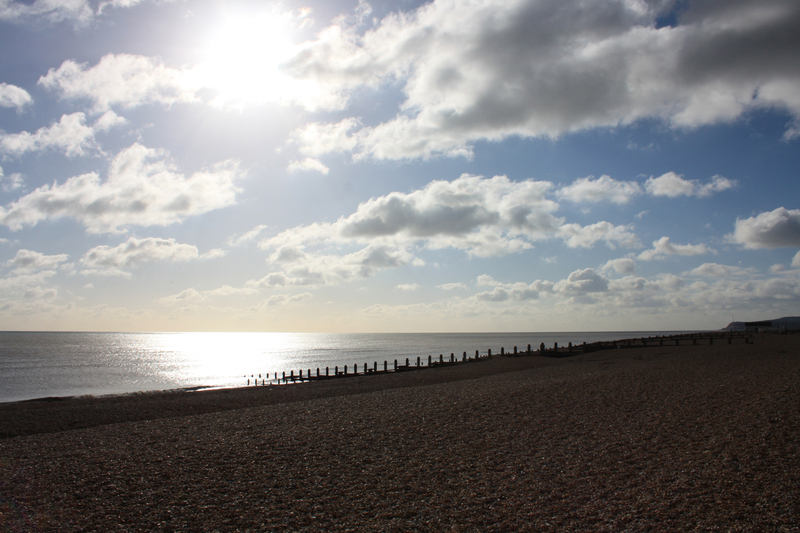 Winchelsea Beach is, we were told by a local, pronounced “Winchlsea”. The inland route between Rye Harbour and Winchelsea Beach follows a private unmade track lined with a very unique set of houses, known as The Ridge. Some houses are brand new and more than several under construction. They look expensive. Yet they sit next door to tiny cottages no more than a couple of hundred square feet in size. 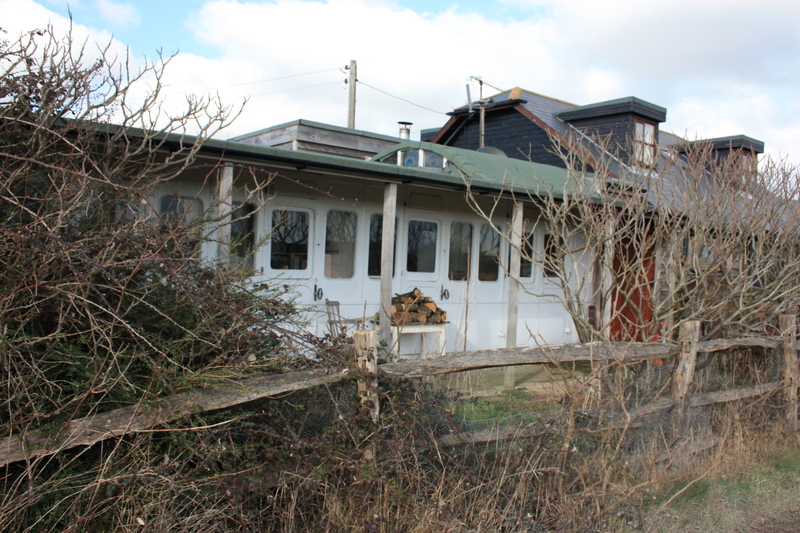 We passed one house that was actually a converted railway carriage. 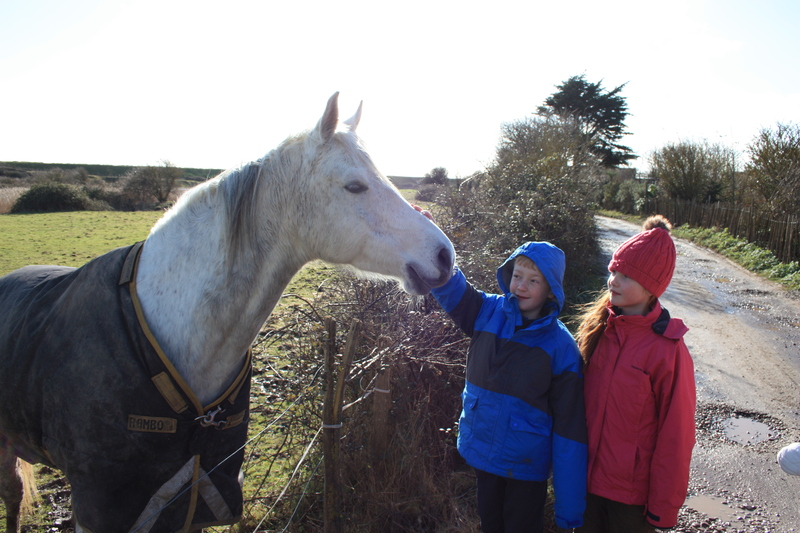 We met some very friendly horses in a field, on the opposite side of the track. The Ridge eventually brought us back to the shore, at the bottom of Dogs Hill Road. Just to the north of this point is where the majority of Winchelsea Beach is situated. In fact, what is today Winchelsea Beach was once Rye Harbour (yes, that’s the village a couple of miles to the east, from where we had just walked). Rye Harbour was, from the 12th Century, a busy trading port. Rye Harbour’s history for the next four hundred years, to the 16th Century, can be condensed into three short words: it silted up. By the 16th Century the entire ability of the port to trade was threatened by a build up of silt and shingle. It was decided that a new harbour would have to be built. This was called the “New Harbour”. In July 1787 the New Harbour was opened. By November 1787 its entrance had become blocked by a build up of shingle and it was abandoned. It was eventually filled with silt to create a field, known as “Harbour Field”. This field exists to this day. Building the New Harbour had taken 63 years, 7 Acts of Parliament, and had cost about £200,000 (£9 million in today’s money). It lasted three months. Somewhere in the shingle banks of today lie the remains of the New Harbour’s east pier. The remains of the pier head extensions are visible at low tide. Not for us; it was high tide. At this point in our walk we had only gone about 5½ miles, but we decided to stop. Why? Because we were still disappointed that we had missed walking through the centre of Rye. 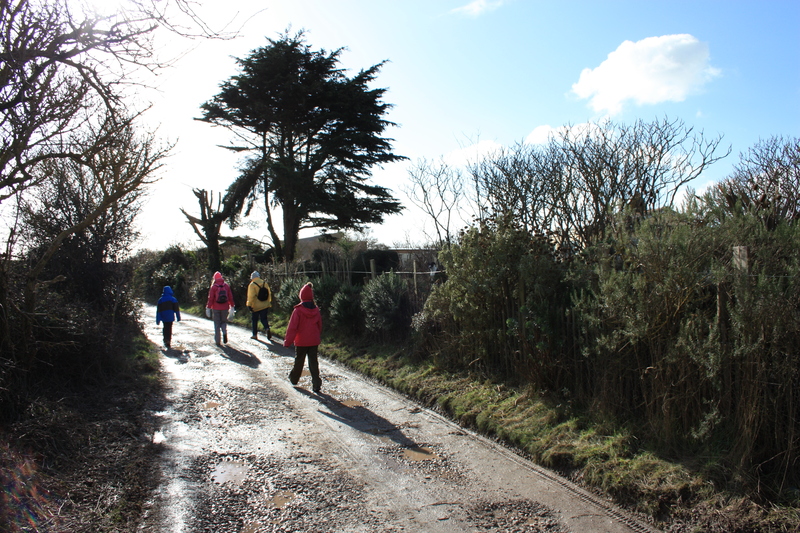 We had accidentally taken a wrong turn and skirted around its edges instead. We so wanted to see this town, renowned for its quirkiness, history, and ghosts, that we did something we have never done before, in some 350 miles of walking around the coast of Britain: we jumped into a taxi, and went back to see what we had missed. 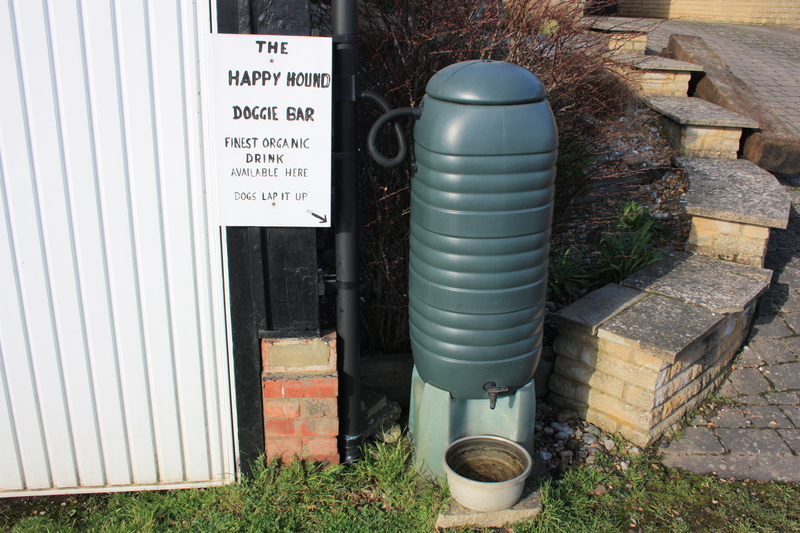 This entry was posted in East Sussex and tagged coast, East Sussex, rye harbour, travel, walking, winchelsea beach. Bookmark the permalink. Thats our garden with the evergreen tree in and fence lined with rosemary bushes!